If you offer Horse Rental & Guided Trail Rides, you have a unique business that only a few Insurers in the U.S. are willing to insure. The operations may be called by other terms, such as “Pack & Trail” or “Guides & Outfitters.” Operators offer a fee service of providing guest riders with a horse (rental of a horse), saddle and bridle, and helmets and other equipment as needed for the ride (outfitting), and trained staff supervisors (guides) to lead and assist the riders during the ride. The purpose of the trip or trail ride is recreational riding of horses that is combined with a tour to view regional features and scenery, or to take guests into a remote setting to camp, fish or visit a resort. Most such operations are novice ride providers, though a few offer rides for highly experienced riders. Ride duration is often from one hour to four hours in duration. Guides & Outfitter Services usually provide longer rides that last for several days and overnight in remote areas. Depending upon location, most run for a season of six months, but some may run year-round. Operators must have access to trails. Some may own or lease trail property, but many operate at local, regional, state, or national parks and on other public lands. This is one the highest risk categories of all horse activities to insure. It must be properly underwritten, managed, and priced to be insurable. We have been insuring Trail Rides for over 35 years and have developed risk reduction standards that have been tried and tested, keeping our program successful long-term while most others are not. Ark Agency is proud of this record. We know that a guided trail ride is often the first horse experience for many people. If that ride is safe and fun, a percentage will go on to become a horse owner. When applying for insurance you’ll be asked to review the risk reduction program and confirm that you’ll be able to comply with management requirements. As an operator of these service, you worry that you may be sued or otherwise have a claim made against you for bodily injury or property damage by a customer, guest, or someone else who comes in contact with you or your property. If sued, you will need to hire a lawyer to defend you and you wonder how you would go about doing this. If found negligent or responsible, you would likely have to pay for either a court-ordered or agreed-upon settlement to the injured party. Fortunately, much concern can be relieved when you buy a Commercial General Liability Policy [GL] to insure Horse Rental & Guided Trail Ride Services. Commercial General Liability Insurance protects you from financial loss should a customer, visitor, or a trespasser become injured [Bodily Injury] or their property is damaged [Property Damage] in relation to your operations, and they make a claim or file a lawsuit against you for damages. 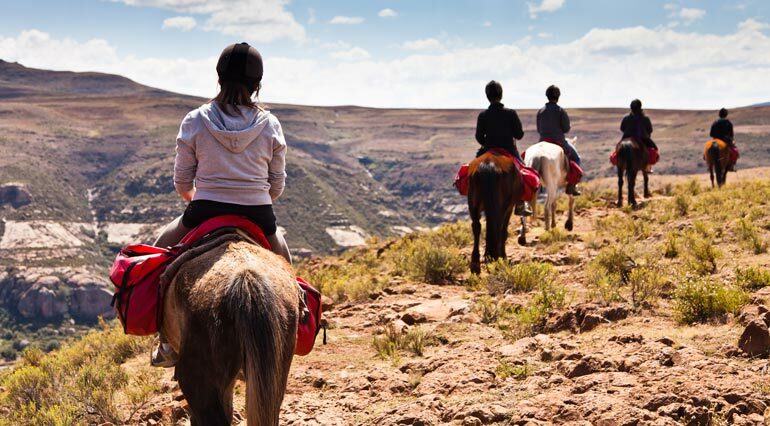 How Risky are Horse Rental & Guided Trail Ride Services? High Risk. Since your primary clients are going to be inexperienced riders, who will be riding horses in open areas, they are at a higher level of risk because all horses can be unpredictable. For this sole reason, you should have horse business liability insurance to protect you in case anything happens during a trail ride. Typically, operators take precautions to prevent any accidents from happening like not allowing the horses to go faster than a slow trot or even walk, giving instructions and warnings before beginning the ride, and checking all saddles before leaving. In addition to this, the riders will wear a specific riding helmet. Even with all these precautions, accidents can still happen. Most riders have an enjoyable, safe ride. Yet, all horses are unpredictable to some degree and there is plenty of out-door stimulus to excite a horse to move in a way that may scare a rider or cause them to lose their balance. Some riders will fall off, or simply jump off a horse while it is moving, or try to ride faster than is allowed, or they may try to overcontrol an animal. These are the most common causes of incidents that cause bodily injury. 1. A guest rider becomes injured by falling or jumping from a horse when either the rider and /or the horse gets scared. 2. A guest rider or horse is bitten by an insect or swarm of insects. 3. A guest rider is injured during a sudden rain and thunderstorm – a horse may slip on footing or lightning can strike nearby. 4. An injured guest rider requires more care than the resident medical care staff can provide, resulting in a medical crisis in a somewhat remote area. Let us create the ideal policy to meet your specific needs for your trail riding business. We will gladly review our horse insurance policies with you and tailor one to ensure you have all the coverage you need. Pick up the phone and dial 1-800-328-8894 for your horse insurance quote right now.